AirBridgeCargo intends to convert an MoU for a large number of freighter aircraft, announced during the Paris-held Airshow last year, into a fixed order. 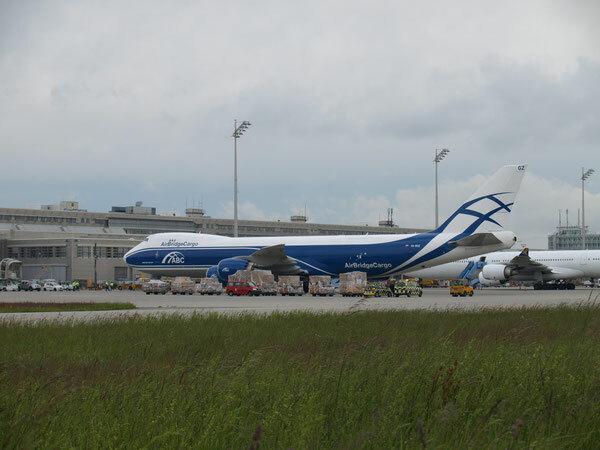 The deal encompasses up to twenty Boeing 747-8Fs of which three have already been delivered to the line-haul arm of Russian Volga-Dnepr Group. Denis added to this that two additional B-8Fs will join his carrier's fleet in the coming weeks which are numbers four and five out of the mentioned order of twenty. The next 2 or 3 are arriving in 2017 with the others following consecutively in the years after. Having said this he pointed out that by 2024 "we will operate a mixed fleet of 30 Boeing 747-8Fs and 747-400Fs of which five will be handed over to our London Stansted-based offspring CargologicAir. So we will be sufficiently equipped with capacity in the years to come." By converting the MoU into firm orders, ABC becomes the rescuer for Boeing's -8F model. "This way they can keep their production line running," he states .Whether this support of the U.S. plane manufacturer has granted his company a price deduction he didn’t reveal. ABC is facing a challenging situation in view of the global overcapacity that puts enormous pressure on rates and makes it hard for air cargo carriers to earn money. 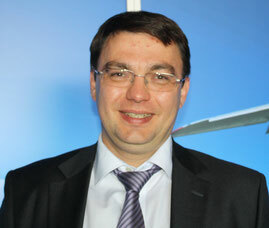 Denis has his own perception on what to do and how to assure long-term profits. "Despite the rather sluggish economy in many parts of the world there are always niches we can capture and opportunities to foster our growth." True to the motto: only he who dares, wins! As additional capacity flocks in, ABC's network expands. Beginning in July, Moscow (Sheremetyevo) - Taipei will be added to the carrier's route map, followed two months later by Moscow-Dacca in Bangladesh. That's not all, says Denis. During the second half of this year two more sectors to Southeast Asia will be introduced, he indicates, without revealing route specifics at this point of time.